ASDA Car Insurance is a branch of ASDA Money, which is the financial services department for ASDA in the UK. As well as Car Insurance, ASDA Money offers credit cards and travel insurance, as well as other financial services. 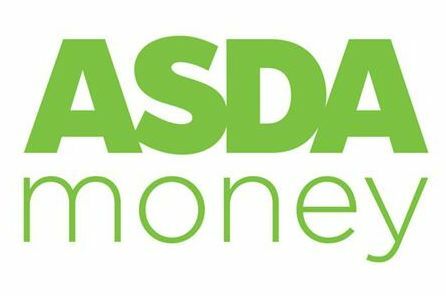 You can contact the ASDA Money head office by calling 0844 248 2443. You can get in touch with the ASDA Car Insurance customer services team if you would like to inquire about a service from ASDA Car Insurance or to make a complaint or if you would like to inquire about some of their insurance policies. You can also ask about any other information about the company that you would like to know about before signing up to one of their insurance policies. If you are unhappy with your policy and would like to change it or you think you are paying to much and haven’t been offered a good deal you can contact the customer services team on 0844 248 2443 as well as if you have any other questions. Calling the head office on 0844 248 2441 will allow you to speak to a member of the head office team about a complaint you feel has not been dealt with correctly or an issue you have experienced that you would like to report. You can also call the head office to inquire about any information about the company customer services could not answer or more specific about the company and their policies. ASDA Car Insurance has a number of policies available for you to buy from them. Calling 0844 248 2445 will put you in contact with someone who is best qualified to answer any queries you may have about a policy you have seen with ASDA. The main two insurance policies with ASDA are “5 Star” and “Value”. 5 Star insurance with ASDA means that you are covered against loss, theft, and damage, which includes accidental damage and damage by a third party. Your breakdown cover is included as standard, as well as a courtesy car if you break down anywhere in the UK. You also receive unlimited windscreen cover with repairers in the UK. You will also receive a free MOT when you renew your policy or purchase a new one with ASDA. Value Cover from ASDA includes rescue cover and includes a 24-hour helpline and courtesy car when you break down in the UK. ASDA 3 Star Car Insurance includes a courtesy car, a limit of £150 if personal belongings are stolen from the vehicle, flexible monthly payments for the cover and optional breakdown cover. With this type of cover from ASDA, you will also receive 90 days of European Cover. Fully Comprehensive Insurance with ASDA covers all of the above and extends to passengers in the car with you. You can also call the car insurance helpline if you already have an insurance policy you can call the helpline to inquire something to do with your policy or to report an issue you’re having with it. You can call the insurance quote helpline on 0844 248 2446 to get a quote for car insurance on your current vehicle. In order to sail through the process of getting a quote with ASDA, you will need a few things, including information on your driver’s license, your medical history, have you claimed in the last five years, if you have any other vehicles and if the cover is for you or multiple people. In order to find the best quote and policy for you with ASDA Car Insurance, you can use the handy tool on the ASDA Car Insurance website. All you have to enter is your ideal policy specifications, how much you would like to spend and select the best policy for you. In order to access your previous quotes and insurance policies, you can log into the ASDA insurance website using your login details. If you have forgotten your login details, you can the account helpline on 0844 248 2447 in order to be connected to a member of staff who can help you find the information you are looking for and help you regain access to your account.